After spending 18 hours cramped into two mini-vans, we have finally arrived at our final destination: Pittsboro, North Carolina. 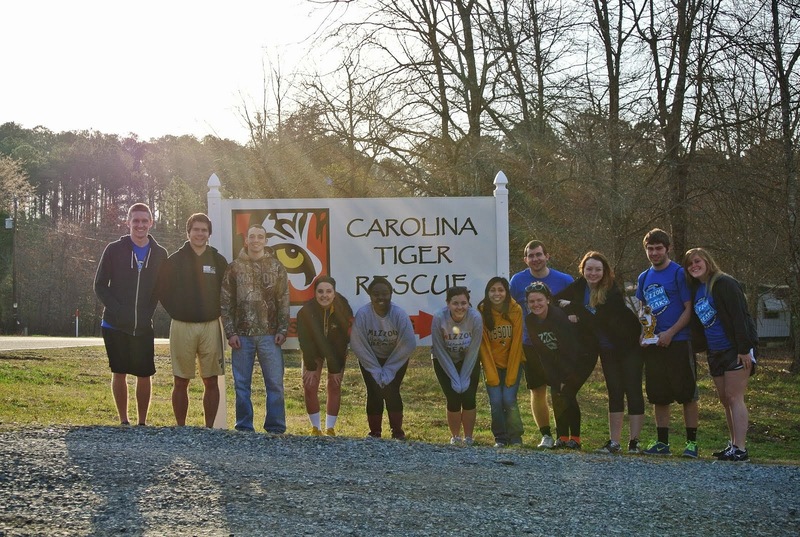 We ere all relieved and excited to finally start out highly anticipated week of service at Carolina Tiger Rescue. 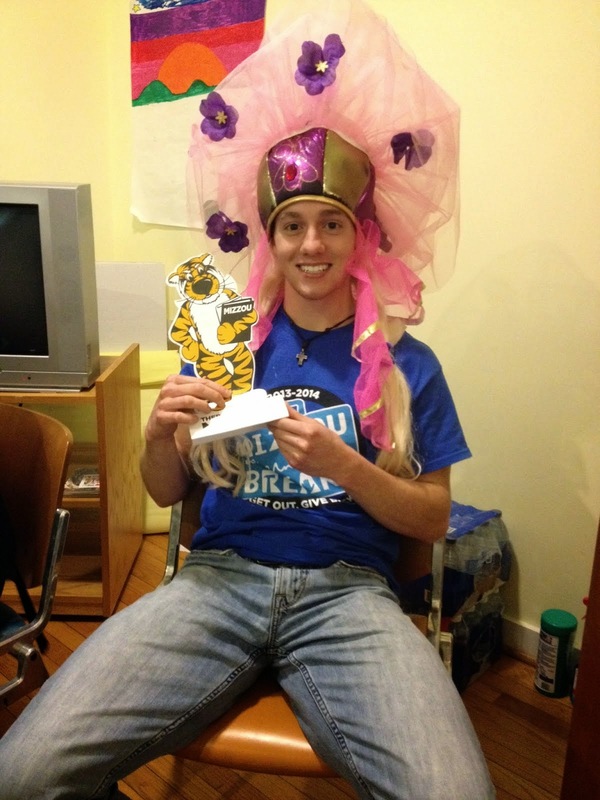 FOR THE TIGERS! 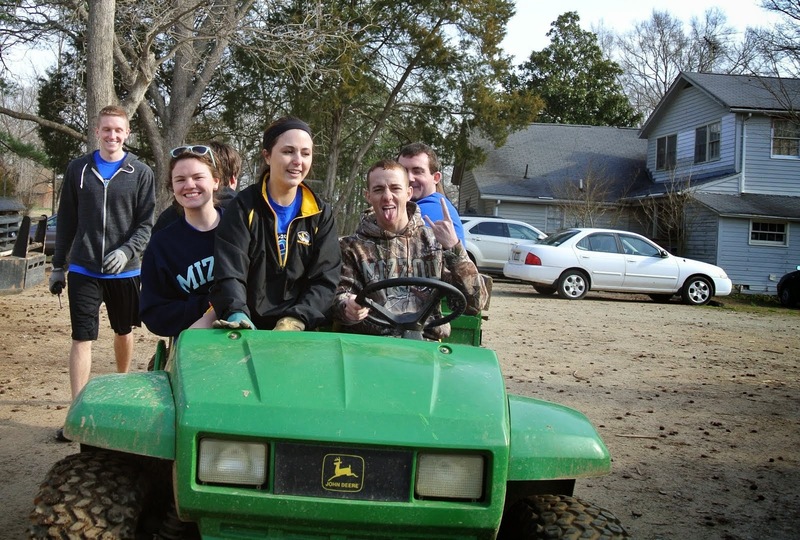 We started our first day of service on Sunday, bright and early at 9a.m. Needless to say, waking up in the morning was a struggle and the weather was not as warm as we would have hoped to be, but we pounced right on to our site with eagerness and excitement, ready to start our day. 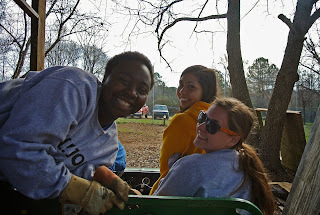 As our first task, we were asked to drive green Gators throughout the grounds in search for logs to break apart and take to another location to be used as firewood. 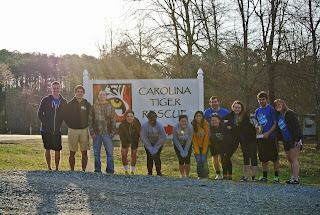 This was a great opportunity for the PittsBROS to see the Carolina Tiger Rescue grounds and, of course, all the large and small cats that the sanctuary houses (65 large and small cats to be exact). After finishing our first take, we spontaneously joined a small tour group of people who had paid to see the animal at the shelter. We were able to learn all the animals' pasts and background stories, which really set in the true meaning and purpose of our service this week. We will be serving to our best ability so that the animals can live a happy and healthy life. Even in this small way, we will be making a positive impact to change the world for the better! Our tour soon lead to lunch, lunch lead to pouring, cold rain, and rain lead to more service! Our group was divided to conquer various tasks. One group helped clean the kitchen in the main building, another helped get sticks off the tops of one of the small cat's cage, another cleaned the storage units in which the meat and food to feed the cats is kept, and another group put fences around the animals' feeding bowls to better protect the staff working there. 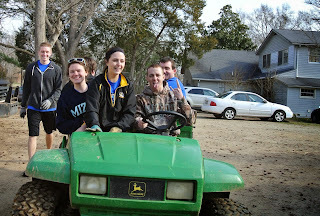 Soaked, Cold and exhausted, we finished our first day of service at 5p.m. Our first day of service was a complete success! We cannot wait to see what tomorrow will bring. Meet our Most Valuable PittsBRO! Levi was voted MVP of the day for his out standing work ethic and his desire to make connections with the staff on site. Congratulations Levi! That hat, though!